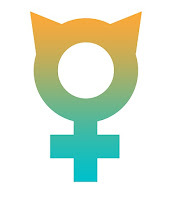 A new focus of my graphic design recently is combining my love of feminism, cats, and magic. My RedBubble artist account allows me to create some cool merchandise out of it. If you're so inclined, I would love for you to check it out. I'm over at the Copypress blog talking about what happens when clients and creatives can't communicate. I'm over at TechieReport again! This time I'm sharing a few budgeting tips for people who are especially bad at sticking to budgets. I recommend a few apps that'll help you get a handle on your finances, too. I'm over at TechieReport talking about the Search Engine Manipulation Effect! Find out more about the researchers who discovered this chilling phenomenon, and read a first-hand account of their methodology at Aeon! My friend and CP Karen Hooper recommended Rae Carson's debut novel THE GIRL OF FIRE AND THORNS to me a couple of weeks ago. I was lucky enough to snag an ARC at ALA, and because Karen swore to me it was a really, truly fantastic book, it was the first of my ARCs that I read. Karen was not wrong. In fact, she was very, very right. THE GIRL OF FIRE AND THORNS is fantasy at its best. The world is rich, wide, and well-imagined, described beautifully and intricately, and woven into the story with such skill you barely realize Carson is building a world around you until it's already been built. Landscapes, clothing, people, and food seem real. A couple months ago, I came across BURN BRIGHT by Marianne de Pierres on Goodreads. The cover drew me in, and the blurb made me obsess. I had to have this book, and I had to have it NOW. It was the kind of book for which I would have immediately driven 45 minutes to the nearest Borders to purchase. The only problem? It isn't available in the US. So I e-mailed the author, begging her to tell me when it would be available. She said they were working on it, but in the meantime I ought to enter a podcast contest. So I entered the contest, similarly begging the people running it to choose me as one of the winners because I am not from Australia and do not have access to Australian books that aren't available worldwide or in this country. The Book Goddess was smiling on me that day, because I won a copy of the book. Cat lover, beach enthusiast, long-haired person, reader, sometimes insomniac, relatively uninteresting, feminist.